Thurston Engineering offers high quality, world class products to the OEM Customer. They Specialize in heating, control, sensing and LED solutions for the most exacting applications. Their manufacturers have been carefully selected to provide the highest quality products and unmatched customer service. 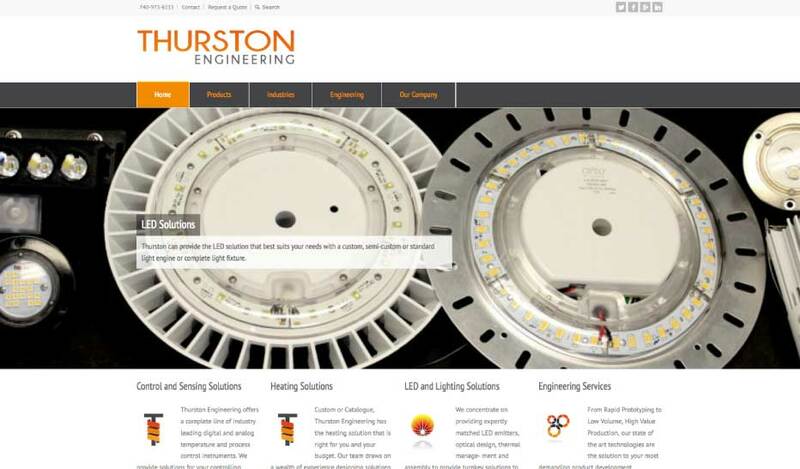 As a leader in LED solutions, Thurston Engineering tapped CCM to help re-brand their marketing and website with a new mobile responsive website.